A stop loss order is an order you place with your broker which is activated only after the price of the stock touches or goes below a specific price. As an example let’s say that you purchased a stock at $20 and did not want to lose more than 5%. You would then place your stop loss order at $19. As long as the stock trades above $19 your position would not be sold. However, as soon as one person completes a trade at or below $19 then your order would be entered as a market order and you would be taken out of the trade. Why use a stop order? The main reason you are using a stop loss order is to ensure that when a stock goes against you, you will be taken out of the trade, no questions asked. Many people find it hard to pull the trigger once they see a stock going against them. However, it is relatively unemotional placing a stop loss order when the stock price is above your stop price. Will people be able to see my stop? The answer to this question is broker dependent. Some brokers place your order into the market as soon as you submit it while others hold it until the price point is breached and then enter it. You will have to ask your broker which practice they follow. Can I lose more than my stop value? Yes, you can lose more than your stop price. This can happen in a thinly traded market, when the price gaps below your stop or when the market is moving fast. To limit what you are willing to sell your stock for you can use a stop limit order. The main advantage of placing a stop order with the broker is that you will always know that when the market moves against you, you are protected. 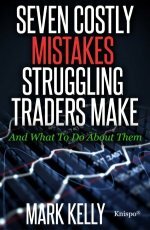 This can bring peace of mind to many traders and is a sure way to know that the first lose will be the best loss. The main disadvantage is that on occasion you will be taken out of the stock and the price will quickly revert back above your stop price. You will find that you will end up selling at or close to the low of the day and while this can be frustrating it is just part of the game. Provided you can accept this and not get extremely frustrated the advantages outweigh the disadvantages. Of course if you are the type of person that can sell a stock once it reaches your predetermined sell zone then you do not really need a stop as long as you have access to the market during the day and are able to check up on your positions from time to time. In a nutshell, a stop loss is used to protect you such that you can trade another day.